We are a specialist law firm which advises both corporate and individual clients in relation to legal disputes. We advise clients from across the country from our base in Newcastle upon Tyne and our consulting suite in the City of London. We have considerable expertise in relation to contractual disputes, fraud & investigations, reputation protection, disputes arising from insolvency, insurance litigation, partnership & shareholder disputes and property litigation. We also advise individuals in relation to defamation & privacy, personal injuries and contentious probate matters (will, trust and estate disputes). We are regarded as a leading specialist litigation law firm having been shortlisted as “Boutique Firm of the Year – National” at The Lawyer Awards 2015. 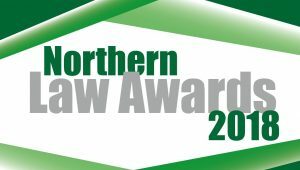 We are also recognised as being amongst the pre-eminent litigation law firms in the North of England having been shortlisted, once again, for “Litigation and Dispute Resolution Team of the Year” at The Northern Law Awards 2018. We have been described by The Legal 500 as a law firm which “provides exceptional levels of service at a very reasonable cost.” The 2016 edition records: “TT Law continues to expand its SME client base, which rates its partner-level service provided at reasonable cost.” The 2017 edition describes us as a “strong and reliable litigation boutique that punches above its weight in the region, with a service level that is nothing short of excellent”. It goes on: “The responsive, reliable and well-informed team’s SME client base praises its highly commercial approach, which combines thoroughness and attention to detail with a well-regarded practicality”. © 2019 TT Law Ltd.
TT Law Ltd is registered in England and Wales with company registration number 8344772. Our registered office address is Cobalt 3.1, Silver Fox Way, Newcastle upon Tyne, NE27 0QJ. Authorised and regulated by the Solicitors Regulation Authority (SRA number 592324). VAT registration number 155095603. We use the term “Partner” to refer to a director of TT Law Ltd.